Today, I want to share with you a joint statement regarding the inappropriate posturing by members of Congress following a request made by Sloan Gibson, acting Secretary of Veterans Affairs. Gibson requested emergency funding of $17.6 billion to help repair access problems for veterans seeking VA health care. Please note the witness list has been updated below. WASHINGTON, D.C.— The House Committee on Veterans' Affairs will hold a hearing on Thursday, July 24, 2014, at 9:30 AM in room 334 of the Cannon House Office Building to examine the steps VA has taken in response to the many problems facing the department, including extensive patient wait times, manipulation of data within the Veterans Health and Veterans Benefits Administrations as well as VA's widespread and systemic lack of accountability. 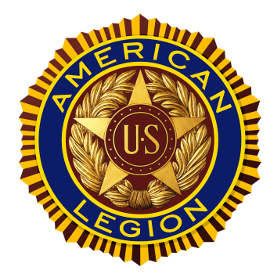 Brooklyn American Legion Post 315 Is hosting a breakfast to benefit wounded soldiers! Where: 211 Chicago St. Brooklyn, MI 49230 When: Sat 7/19 & Sun 7/20-from 7:00 AM to NOON Cost: $8.00 (includes: Juice, scrambled eggs, sausage, biscuits & gravy) At an additional cost there will be a full bar available to those 21 and over. Pick up at MIS, to Legion for breakfast, and then back to MIS, with a stop at Country Market so you can pick up any needed supplies! This is the big hearing tonight on CSPAN 2 at 7:30.